Interested in gamifying a learner’s experience? Why is gaming a much more compelling way to learn? 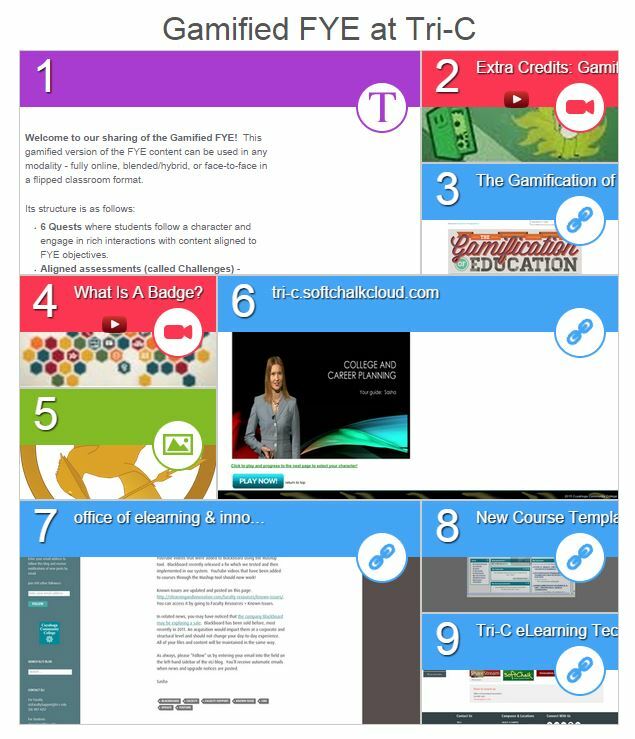 Check out these links and resources to learn all about gaming for education and training. NEW – Blendspace curation on basics of gamification and how we’re gamifing a First Year Experience course at Cuyahoga Community College. Looking for the Educause 2013 Presentation “How to Gamify eStudent Services”? Find them on our presentation page HERE. Are you a member of Educause, or just looking to get into the action on learning more about gamification and games in education? Use the #educausegames to track and participate in the conversation. Want to teach other faculty how to love games in education? Try making a Speed Gaming Workshop! At Tri-C, we created Speed Gaming Workshops, where faculty were invited to play an educational game – or game with transferable game mechanics – for 15 minutes. When the bell rang, they moved to the next game until they tried several. Interested, but not sure where to get started? Check out this set of instructions for several games. Jane McGonigal did the second day keynote. 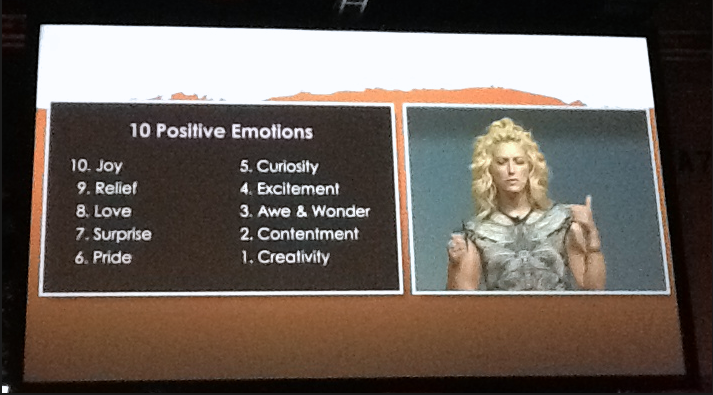 She used a slide similar to this one about the 10 positive emotions of gaming in reference to the massive multiplayer version of thumb wrestling. Need more ideas for implementing this in the classroom? This animation explains grading, agency, and other important gamification components integrated into education. Rochester Institute of Technology is putting a game layer on top of the undergraduate student experience, with the code to be released as open source. Check out their site for info, a review of the game, and updates on the release timeline.